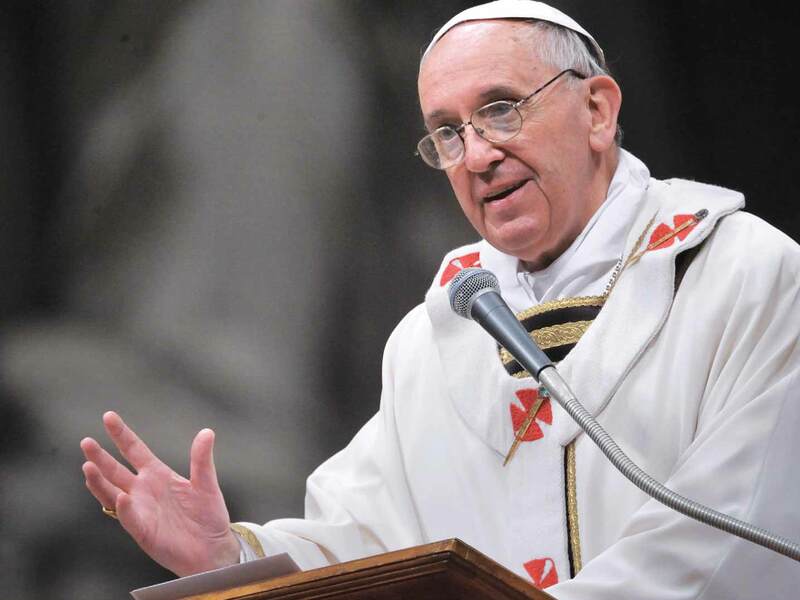 Pope Francis continued his teaching on the nature of Church with this week’s General Audience. There were a few quotes and themes at the heart of this week’s message. These words call to mind, the Church’s teaching on the Bishops direct link from Jesus, or what is formally called Apostolic Succession. That understanding of the Catholic faith is highlighted through the beauty of the laying on of hands at ordination, linking all ordained directly linked back to Christ. The Bishops are called by this honor to continue leading the faithful as Jesus did, “For even the Son of Man did not come to be served, but to serve, and to give His life a ransom for many” (Mark 10:45). Finally let us look more closely at this call to serve, “How beautiful it is, therefore, when the Bishops, with the Pope, express this collegiality! And try to become more, more, and more the servants of the faithful, the servants of the Church! Our diocese has recently installed a new Bishop; it has been remarkable to witness his acclamation to his role within our Catholic community. As a layperson I am obviously not privy to the intricate, behind the scenes working of the Bishops thoughts and subsequently his day to day service but I can speak to my observations as outsider. This Bishop seems incredibly concerned about his flock, spending his first weeks and months meeting and listening to many groups, organizations and individuals that he has been called to minister to. He did not barge into the community and start to weld a real or perceived power, instead he is listening and learning, preparing to best serve. It is clear he is not only listening to what is requested from the dioceses (ordained and lay alike) but also open to hear the Holy Spirit as well. “And, in the common ecclesial prayer, all Bishops place themselves together in listening to the Lord and the Spirit, thus being able to give profound attention to man and to the signs of the times (cf. Second Ecumenical Vatican Council, Constitution Gaudium et Spes, 4).